BIRTH RIGHTS OF THE "GA-ADAGBES"
THE BELOW ORIGINAL INFORMATION IS FROM THE PRIMOGENITOR OF "NU". THIS IS NOT A GREEK, LATIN, WESTERN OR EUROPEAN VERSION, THIS IS FROM THE PEOPLE WHOM IT IS ABOUT. "NU", the first divine name, and the only name given to the primeval celestial waters since dawn by the Nubian (Nubii). "TE" is the spiritual Divine name of "NU", and " LA" (RA) the spiritual name of the material symbol and the third Divinity name for both "NU" and "TE". 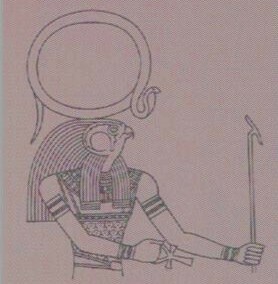 Optionally, the ancient Nubians used any of the three Divinity names as an address for the Supreme Divine Creator of the Universe:- NU-MO, ( NUMO ), NYU-MO, ( NYUMO ), NAA-NYUMO or ATAA-NAA-NYUMO, etc. as "NU"= NUTEM (Greek/Latin) and NETERU (Old Arabic). "TE"= TEM (Greek), TEMERU (Old Arabic). LA= ALLA, ALLAH (Arabic). "RA" is a ( Slang/ phonetic of La. The Ga-Adangbes (Nubii/Nuubii) kept their birth rights as primogenitors, and without a choice they named their children of the same Divinity names; NUNU/NUUNU, A-NU-M (ANUM), NUHU, etc., TE, TELE, TETE, ATE, OTE, TERTE, etc., LA-BI (LABI), A-LA (ALA), LATE/LAATE, LAA-TE-LE (LAATELE), LA-NI (LANI) and many more. The Ga-Adangbes kept on with the legacy of their ancient ancestors of the ancient Nubians. They attached many other descendant divinity names such as "ASAR, SA, ASA, OSA, ESSE/ESI/ISIS/ESIE, HU, AMON, DZE (A-DZE-I)/JE (JE-RU)/JE-SUS/HORUS/AJEI, TUTU, OTU, NI, NII, ANI, SU, SHU, KU, KHU,KA, BA", etc. The Ga-Adangbes address to every male as "Nu or Nuu" (a description to all male humans and any other male species), in essence they believe every living and non-living things were created by "NU". They also address to every female as " NUUBI or "NUBI", and every first born male is named ;- TE, TETE, TETTEY, OTE, ATE, and every first born female is named;- TELE, DEDE, LE, the spiritual name of "NU". They attach any of these first born names to any special name of the first born child. Here are some few attached underline Divinity names to a special name of a first born male and a female: ADZETE/ AJETE/ ADOTE/ YEMOTELE/ SOWATE/ KWAOTE/ OTUTE/ OTEKU/ AMATE/ TERTE/ LAATELE/ TEMLE/ TELE/ TEKU/, with the TE’s for the first born. Here is "TE" addressed as a honorable name; "TETTEY-WULOMO" a Divinity Title for the "LA-KPA WULOMO" (the ORACLE), though the actual name of the Oracle maybe "TETTEH OKO-ODOI" or "MENSAH (OSA) ODOI". The description of "NUU-TERTE TSE" has been the utmost honorable to the Ga-Adangbe male, as un-noticeable as it may be, it actual meaning is "Divine Father of the Eldest or the Eldest Divine Father"
"THE WHOLE LANGUAGE OF THE GA-ADANGBES AND IT ACTUAL MEANING IS UNIQUELY FORMED TO UNDERSTAND ONLY JUSTICE, TRUTH AND HONEST COMMUNICATION, IT ACTS WHEN SPOKEN OF". IT'S LINGUISTICS ARE THE CODE-KEY TO THE ANCIENT NUBIANS AND THEIR HISTORY OF US. HERE ARE SOME FEW BIRTH RIGHTS INHERITED ANCIENT NUBIAN NAMES AND THEIR ACTUAL MEANING OF THE GA-ADANGBES, AKANS, HAUSAS, ANGLO-GAS. NU or NYU = DIVINE name of the Primeval Celestial Waters. NU, NYUMU or NUU = Description of every male to the Ga-Adangbes, Also a description to a Female culturally. ( DIVINE name of the primeval Celestial waters). ONU-KPA= Divine Testimony (the elderly male or female), the Ga-Adangbes. NUN-TSO= Divine Redeemer/ Lord or Good husband, the Ga-Adangbes. NUN-TSO YOO= Divine Redeemer/ Lord or Good wife, the Ga-Adangbes. NUU-MO or NU-MO= Oldest Divine, addressed to a very old man, the Ga-Adangbes. NU-MO or NYU-MO and NOOMO= "SUPREME DIVINE" of the waters, primeval celestial waters. Doogons of Mali and the Ga-Adangbes. ANU-KYE= Divine Redeemer/ Spiritual Leader/ Lord/ Father/Divine Gift. (Akan). TERTEY orTETTEY= "Ga" (the eldest) name of the GA-ADANGBES and their language. In the Anglo-Ga language the description of the eldest is "GA". WA or AWA = LIVEN. FIRM, STRONG. NAME FOR A MALE OR FEMALE.AND CAN BE ADDED TO ANOTHER NAME TO BECOME A COMPLETE STATEMENT. LA-TE (LARTEY), MALE. /LA-M-LE(LAMLE).FEMALE. FOR BOTH MALE & FEMALE = LIVE SPIRIT (OF THE ELDEST,"THE SUPREME DIVINE"). GA- ADANGBEH. NAME MEANINGS TO BE CONTINUE. FIND OUT FROM BELOW - WHICH DAY YOU WERE BORN AND WHAT YOUR NAME IS TO BE AS A " NUBIAN DESCENDANT " COMMON NAMES FROM GHANA. BORN ON WHICH DAY BELOW ? 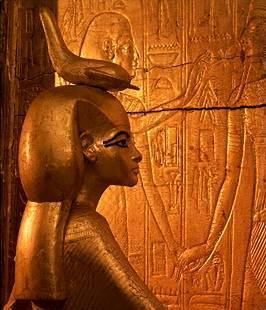 THE NAME "ISIS" IS A GREEK PHONETIC NAME OF THE ANCIENT NUBIAN SPIRITUAL-GODDESS "ASASI", WHO WAS A DIVINITY AND A QUEEN. HER ORIGINAL NAME KNOWN TO THE GA-ADANGBES AND THE TSWI-FANTE SPEAKING WEST-AFRICANS WHICH THEY INHERITED FROM THEIR ANCIENT ANCESTRAL NUBIANS, AS A LEGACY WAS ; "ASASI-AFIA" AND "ASASI-YAA". A SPIRITUAL NAME THE WESTERN-AFRICANS MANDATORY MENTIONS DURING LIBATION (PRAYERS). THE "TSWERE-DIAPON KWAME (KU-AMEN: SYNONYM OF "AMON"; THE ANCIENT SACRED GOD FIGURE-SYMBOL, KE ENGHA ASASI-AFIA" = ( THE OMNIPOTENT GOD "KU-AMEN" AND HIS WIFE "ASASI-AFIA" ). COPYRIGHT 2016 ALL RIGHTS RESERVED. U.S.A. BASED.